Some kind of Ford hybrid will be doing battle with Toyota’s Prius starting in late 2018. War clouds are gathering, and for once they’re figurative. If media reports are true (and when are they not? ), Ford Motor Company is gearing up to wage battle with… the eco-friendly Toyota Prius. The Prius remains the ever-popular darling of the green crowd, and is still the first name that comes to mind when the topic of hybrids is brought up. Toyota sells piles of them, and apparently Ford isn’t happy about that. A shadowy person told Reuters last week that the automaker – which is reasonably good financial shape – plans to introduce a standalone hybrid model in late 2018. A Ford spokesperson then got all cagey when asked about it. ShadowMan claims the model will be based on Ford’s new global C2 platform, which will underpin the future Focus and Escape. Naturally, every bit of technology (some of which probably can’t even be imagined in 2014) will be employed to wring every last bit of range out of the future ShadowVehicle. The Prius family is a big one, having grown to include the regular Prius, a plug-in version, the compact C, and the larger, wagon-like V. All that’s missing from the lineup is a drop-top, a large SUV, and an El Camino-type ‘Ute’. Still, the Prius clan isn’t immune to market forces – among them, cheaper gasoline and diesel vehicles that return increasingly impressive fuel economy (not to mention competing hybrids). The devilishly handsome folks at goodcarbadcar.net report an 11.2% drop in Prius family sales between July of 2013 and July of this year in the U.S. Year to date, the Prius family is down 11% in U.S. sales. In Canada, the Prius situation is worse, with July sales showing a 21.4% drop over the previous year, and year-to-date sales down 14.3%. While these numbers are discouraging, they’re not dire. Over 86,000 Prius models have still found their way into American driveways so far this year. As for Ford, which is currently pushing the hybrid and plug-in hybrid versions of its popular Fusion sedan (and offering the hybrid drivetrain as a no-cost option on their Lincoln MKZ), a certain vehicle seems to have been abandoned in a basket at the neighbour’s front door. 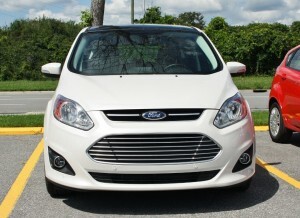 The Ford C-Max went on sale in North America in September, 2012, following years of sales in Europe. The upright, Kia Rondo-ish hatch runs solely on hybrid power (normal or plug-in), but if the goal was to challenge Prius for the hybrid crown, that ball missed the basket by a nautical mile. Nearly invisible in the marketplace, and tainted by fudged mileage figures that left drivers expecting more, the C-Max saw its total U.S. sales fall by 40.1% year-to-date. Cracking the 3,000 vehicle mark seems a near impossible task for the C-Max this year. Contrast that with the Prius’ numbers, and you can clearly see a need for a Plan ‘B’. What this new vehicle will look like when it debuts four long years from now is anyone’s guess, but if it’s designed to beat the Prius at its own game, expect similar body styles and every scrap of technology Ford can lay its hands on. 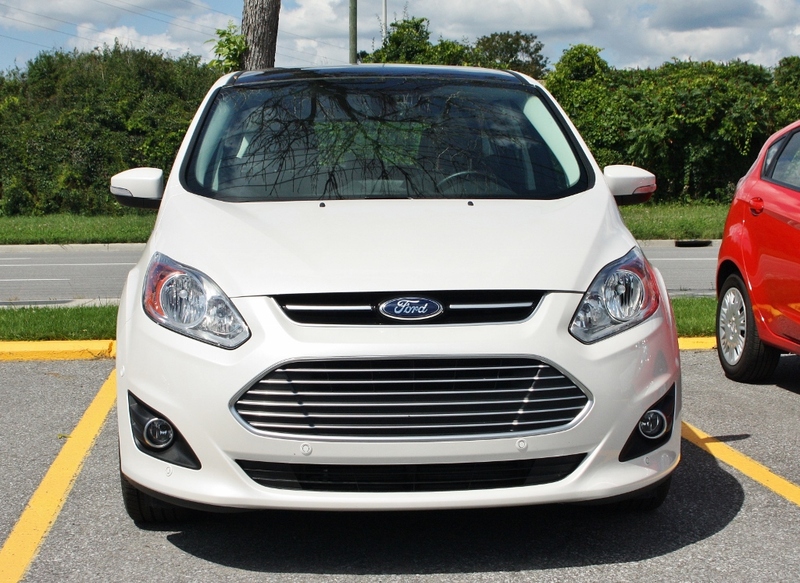 This entry was posted in News and tagged C-Max, Ford, Ford Motor Company, Fusion, Prius, Toyota, Toyota Prius on August 27, 2014 by Steph Willems.